Our CE500 Single Pilot Waiver course was built directly from our experiences working with thousands of aviators over the last decade and a half. Each training session is designed to teach you the fundamentals you will need in the air, as well as adapt to your personal strengths and weaknesses as a pilot. Beyond just passing your checkride you’ll feel safe and competent flying your citation single pilot. The CE500 SPW course is completed over five days at our beautiful facility in southern California. 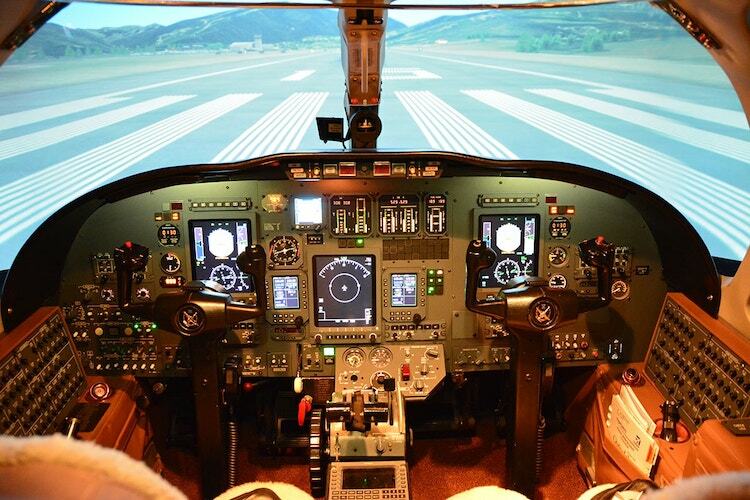 The course includes two days of ground, eight hours of dual instruction in our Citation Ultra Simulator and your 61.58/SPW check-ride with an in-house examiner. Small Classes Taught By Career Aviators.